SIMPLICITY, DIRECTNESS, EFFICIENCY, OPEN MINDEDNESS, NON CONDITIONAL APPROACH & ADAPTIBILITY. When applied to Combat, JKD results in success. However, the JKD Concepts can be applied anywhere, as it is an efficiency based philosophy with influences from Lao Tzu, Ze, Buddhism and Krishnamurti. The good part of this philosophy is that it is concerned only about efficiency. Success in reaching your destination or simply relishing the journey. This article is penned down by the Director, Prof. Rao to highlight the immense power in applying JKD to the MIND. There is an entire website too devoted to this subject. You will find a link at the bottom of this article. Click on the link to reach the site. JKD. 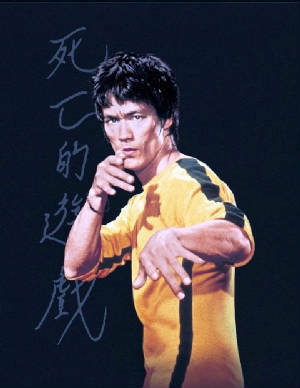 Bruce Lees Philosophy is a magical art with the capability to transform Lives. JKD is a phenomenal method of Understanding Life, Solving Its Problems, Succeeding in same areas where you have been failed countless times, Living and Enjoying every Single moment to the fullest. JKD is an amalgamation of Chinese Lao Tzu, Japanese Zen & Indian Buddhism. 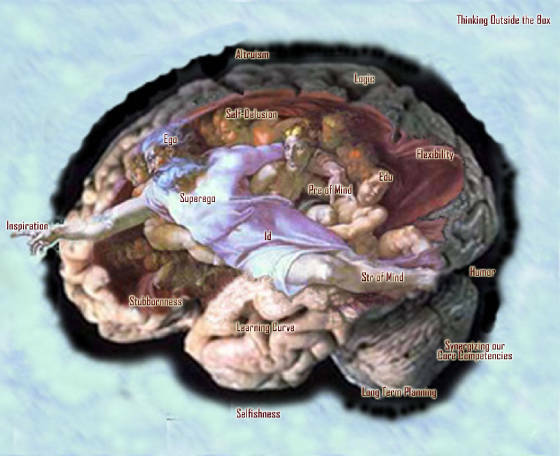 It is non conflictive with Any Religion, Belief or Philosophy. Though It is for Anyone, It produces Results Only for the One WHO APPLYS. JKD is taught and understood via Combat. In Combat, application of a useful principle produces instant Hits /Results on the opponent. Or instant Punishment for Self, if you fail to apply. 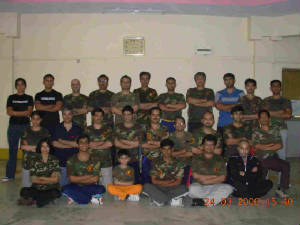 Since there is no time for developing Nirvana in Combat, JKD helps you to realize Nirvana quickly in the Combat Arena. JKD is a SET of PRINCIPLES which result in Success, not just in Combat but Elsewhere and Anywhere. These are the Principles of COMMON SENSE and LOGIC as old as Existence itself. But they were highlighted by Bruce Lee, our beloved Teacher. Personally, I am very lucky to have this JKD. **Simplicity, Directness, Effectivity, Non Conditional & Open Mindedness. Easier Said than Practiced. This is JKD. Believe it or Not, Understand this & Apply this with Open Minded ness to the very same Problems which never got solved and everything will change for the better. However, There are certain principle for this JKD to work. a) DON’T ASSUME you know this JKD and already have it. If you had it you would not have problems succeeding! b) Realize that if you are not succeeding somewhere, There is a NEED for JKD. d) APPLY what you KNOW and agree to theJKD Logic. Even if it does not agree with your Heart If you cant apply, its no use Knowing. ‘Head over Heart’ is a winning attitude. e) BE OPEN to KEEP ON APPLYING. If & When You stop applying, You are no longer have JKD. You will NOT get Victory and return back to Problems. REMEMBER JKD appears EASY. You may think everyone knows it. NO, NO, NOT AT ALL. Category A) People Who KNOW NOT. They only Assume they know it. enough to understand JKD application to the Problem on Hand. Category C) People Know it, But are UNABLE TO APLLY, as their Heart rules their Head. Category D) People who Know and Apply, but STOP APPLYING when some complication arises. Category E) People who Realize that APPLY & YOU KEEP WINNING, DON’T APPLY & KEEP FAILING. Good, JKD is not Easy. IF it were easy, JKD would be applied by very common man. Good, its is not so common. If all were to apply JKD every time, how would you stand out? Remember, You are JKD till you apply. IF you fail to apply, You join the Common Man in his Failures, Fears & HangUps. Also Remember, There is NO JKD MAN. There are only MEN who choose the JKD WAY for the given instant. JKD is just a word, for commonsense that is not so common. Respect it & Practice it & Watch how JKD will TARNSFORM Life!